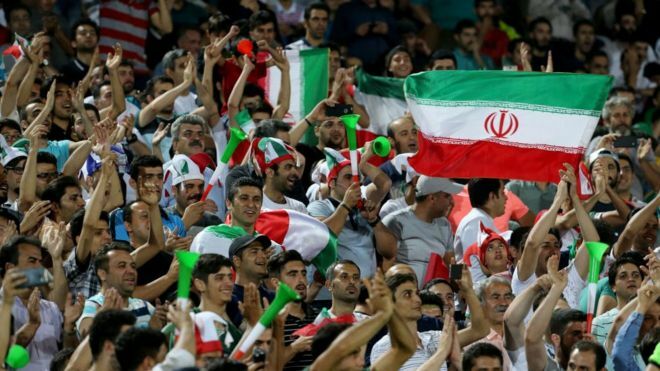 TEHRAN, Iran — Iran’s soccer federation condemned two Iranians who play for a Greek team on Friday for participating in a match against an Israeli team, Iranian media reported.The federation “strongly condemns” the participation of Masoud Shojaei and Ehsan Hajsafi in a match for Greece’s Panionios against Israel’s Maccabi Tel Aviv a day earlier in Greece, it said in a statement reported by the semi-official Fars news agency. On its Farsi-language Twitter account, Israel’s foreign ministry praised the players for ignoring what is considered a taboo in Iran by playing against the Israelis. Maccabi won the UEFA Europa League match 1-0. 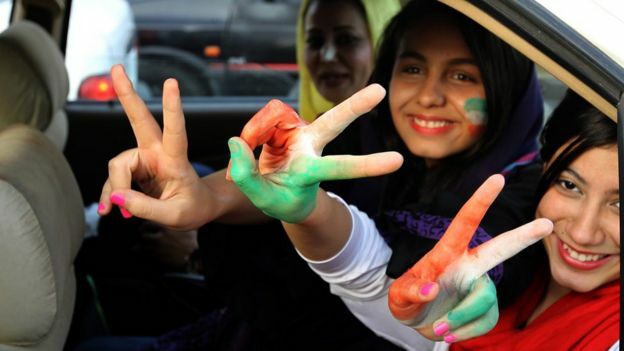 Israel and Iran are bitter adversaries and traditionally, Iranian athletes refrain from playing Israelis. Iran’s government usually rewards such behavior. The federation said it is reviewing the case and will make a final decision after speaking with both players who in the past have also played for the national soccer team. 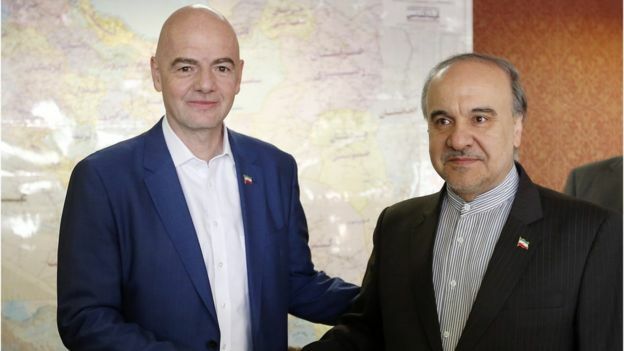 Fars reported that the two may now be banned from playing on that team again. At a previous match against Maccabi in Tel Aviv, both refused to play. The last competition between Iranian and Israeli sportsmen on the international level dates back to a wrestling match in 1983 in Kiev, Ukraine. From time to time, Iranian players who play for foreign teams have played Israeli teams. In February, a teenage Iranian chess player angered authorities when he played, as an individual, against an Israeli competitor in the Tradewise Gibraltar Chess Festival. 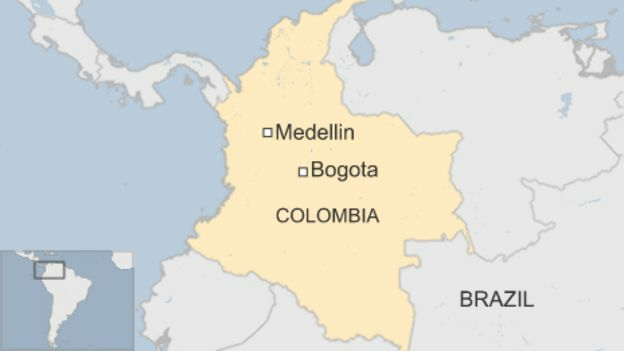 A plane carrying 81 people, including a top Brazilian football team, has crashed on its approach to the city of Medellin in Colombia, officials say. 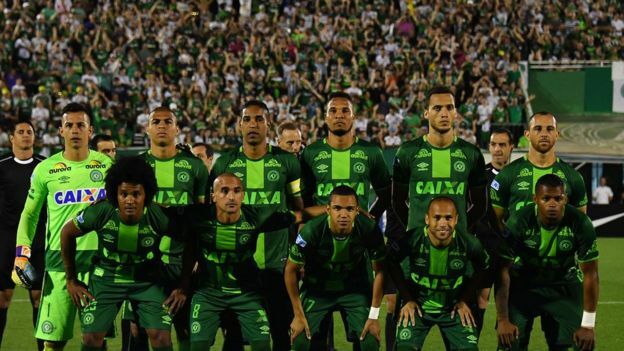 The chartered aircraft, flying from Bolivia, was carrying members of the Chapecoense football team, airport officials said. 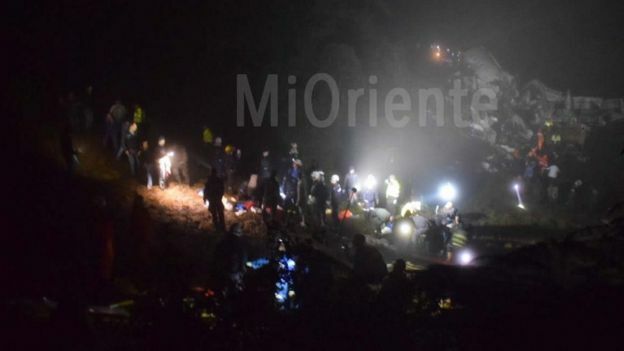 The mayor of the nearby town of La Ceja confirmed that a 25-year-old footballer was among the survivors. 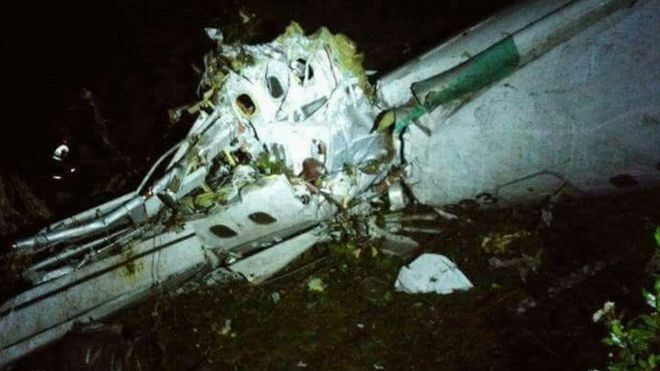 Reports say the British Aerospace 146 short-haul plane, operated by Bolivian charter airline Lamia and carrying 72 passengers and nine crew, crashed in Cerro Gordo in the municipality of La Union shortly before midnight local time (05:00 GMT). It later said in a statement that “all possible aid was being mobilised because six survivors are being reported”. Were flying to play in the first leg of the final of the Copa Sudamericana – winner qualifies for Copa Libertadores, top continental competition in South America. Based in the Brazilian city of Chapeco in the state of Santa Catarina.